Odin Theta Tours provides organization of travel, adventure, leisure, training programs and multidisciplinary scientific expeditions for the LDMF Foundation. The service has been designed by LUIS Daniel Maldonado Fonken. The Expeditions and Travel Projects follow the design of a lifestyle traveler adventure (Lifestyle Travelers Club 1998-2014). Luis self has been living abroad and living abroad traveling since 1996. Did organize for himself 9+ Expeditions in Eurasia. 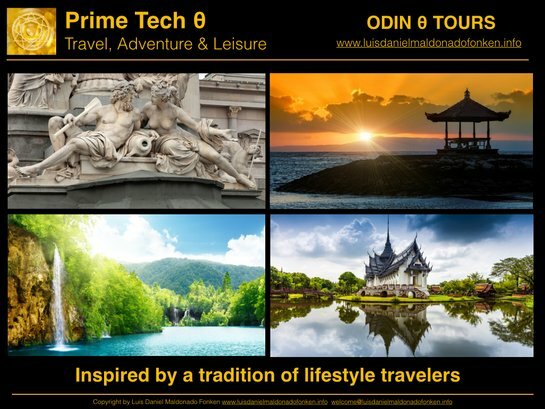 Based on this experience the Odin Theta Tours services has been designed.